Consider the conference room – home to your most vital meetings, but too often today’s conference room is more echochamber than productive space. The sleek modern look that’s all the rage results in hard surfaces that brutally reflect every sound, turning a conference call into cacophony. While these offices seem to radiate efficiency, they rarely create an environment that absorbs noise and keeps privacy top of mind. So how do you solve these issues? Acoustically absorbent material to the rescue! 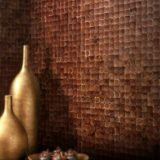 Nothing new to the design world, acoustically absorbent material is used in a variety of spaces. And in conference rooms, these materials really get to work their magic, reducing sound bouncing around a space and making speech sound clearer and more understandable. 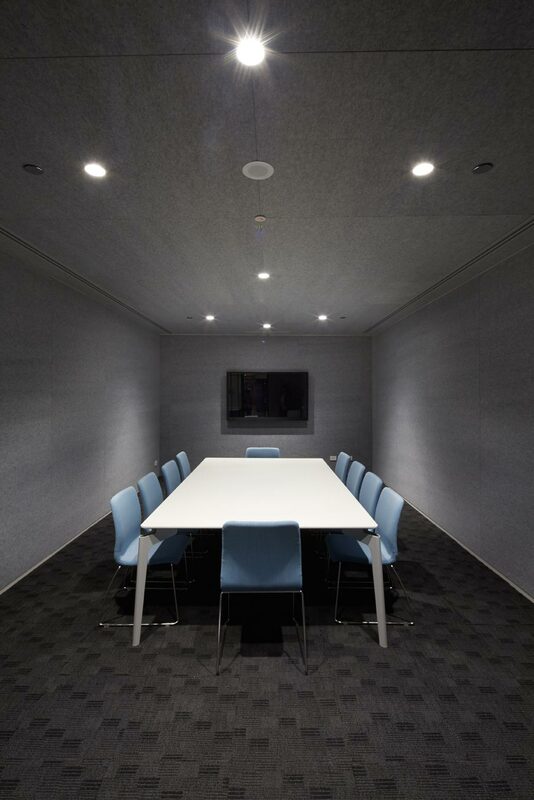 To really ensure that sound is absorbed in a meeting room, the walls and ceilings are the main surfaces to address. (The floor typically is not something that can be fixed as easily, aside from installing carpet or laying down a large, soft rug.) 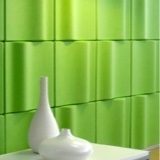 Acoustic wall panels are typically the quickest fix. 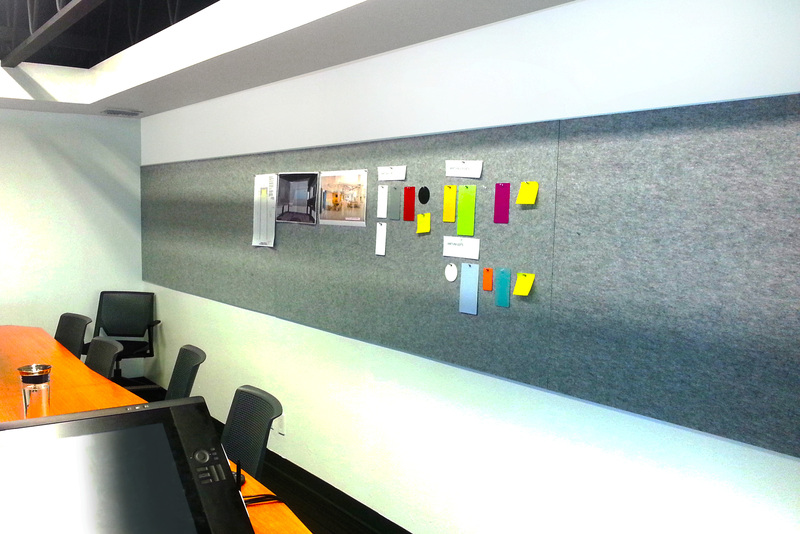 Wall panels don’t have to completely cover an entire wall (like the design of the conference room above!). Imagine sound as a tennis ball in a room -- constantly bouncing around and off of every surface it interacts with. When sound encounters a soft surface -- like the acoustic panels -- some of that sound is absorbed, so a smaller amount is bounced back into the room. To avoid sound continuing to reverberate around the room, the more acoustic material introduced in the space, the better. The designer of the conference room pictured above wanted to make sure that the minimal, simple design of this space was kept, but acoustic control was also included. Enter white wall panels. 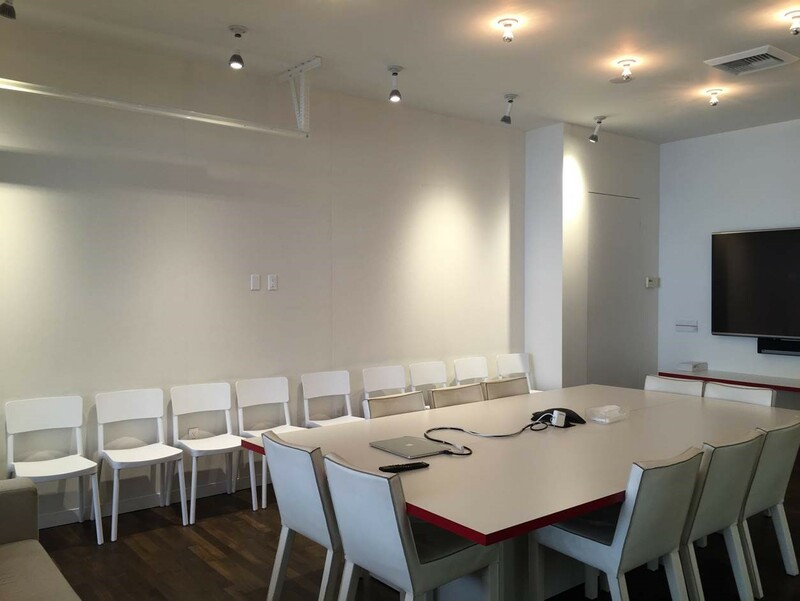 These installed panels created the clean, white wall look and added vital sound absorption to this space intended to cater to large meetings. Featuring even more acoustic material, this conference room below was clad almost entirely in acoustic panels. This space is used almost entirely for overseas teleconferencing, so sound absorption for clear speech was paramount. For teleconferencing, reduced echo is essential for clear understandable calls. Cover the entire ceiling and walls in acoustic material for complete acoustic control in your conference room. Carpet was also installed, which in turn absorbs even more sound since it’s a soft surface. If it’s possible for a space to incorporate this more acoustic material, privacy and speech intelligibility are at ideal levels. Everyone perceives sound differently and spaces have different uses. Too much sound absorption can result in a “dead" room, so it’s key to tune the space to your desired sound levels and clarity. These acoustic material-heavy applications shown above aren’t always possible or even the desired design of a conference room (the CIA interrogation room look isn’t for everyone). Sometimes clients are in search of something more simple, yet bright. 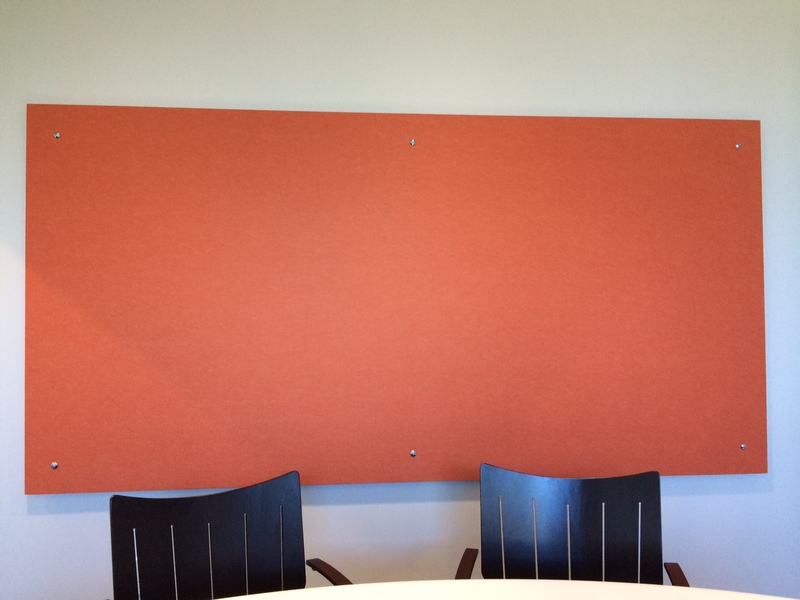 The client who designed the conference room with the orange panels wanted to use acoustic material in their project, but didn’t have the desire or budget to install a large amount of panels. They chose instead to install some single panels with standoffs, so that an air gap was created behind the panels for increased acoustic performance. 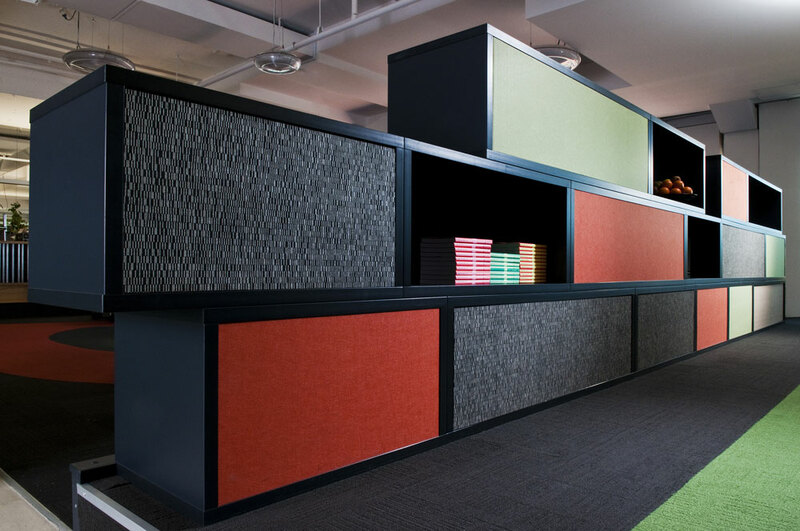 Image Source: Adding an air gap behind your acoustic materials is an easy way to increase sound absorption! 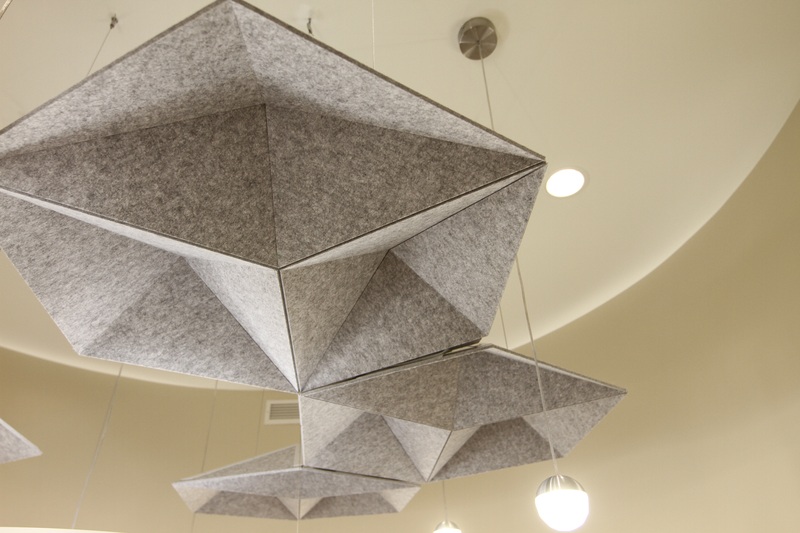 When space is made behind acoustic materials, greater sound absorption occurs. 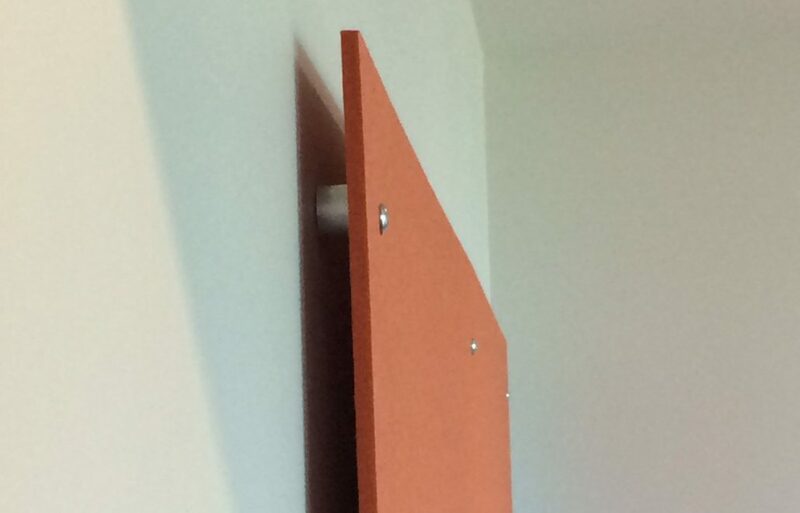 For clients who don’t have a huge budget for acoustics or don’t want a lot of product installed to the walls or ceilings, this fix is a great way to ensure that sound is captured in a meeting room. Don’t forget - It may be necessary to take other acoustic precautions as well to maintain privacy, like making sure windows and doors are sealed properly and eliminating speech transmission over plenums or through HVAC. These orange panels above were installed in the critical area between 3’ and 7’ above the floor – this is where we speak either seated or standing, so that’s where sound is generated and should be absorbed for best effect. In addition, make sure to cover adjacent walls to capture sound bouncing back and forth between parallel walls. If 2 adjacent walls are covered, then there are now no parallel walls to bounce sound waves back and forth. This will result in increased sound clarity and reduced reverberation. 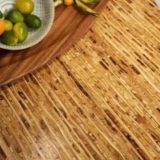 Another way to fix sound in a room by using decorative acoustically absorbent material, like these thermoformed tiles made of soft material, like PET fibers. 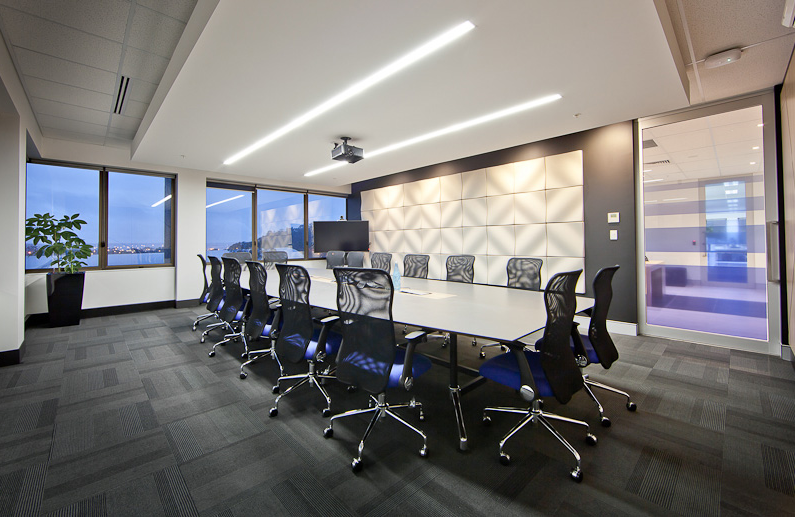 The client who designed this room chose to install EchoPanel Dune Tiles on one wall of this smaller conference room and, because of the air gap, more sound control (not to mention visual interest) were introduced into the room. Tip#4: Don't forget the ceiling! Ceilings can receive treatment too! By hanging clouds or baffles, or just covering ceiling's hard surfaces with acoustic panels, significant echo reduction can be achieved. The conference room pictured below is a perfect example of installing interesting, sound-absorbing material to a space that might not have much wall room to work with. This client chose to look up instead and hang this visually dynamic ceiling system from their exposed ceiling. 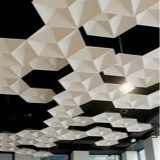 These clusters of EchoStars hanging ceiling clouds are made with sound-absorbing EchoPanel in shapes that help deflect and help absorb sound that is carried up from those using the space. Unfortunately, there isn’t a one-stop fix-all solution to addressing conference room noise. But the applications described in this article will definitely help you mitigate noise issues and reintroduce privacy back into your conference rooms. Need more help? Check out our interview with a professional acoustic consultant!